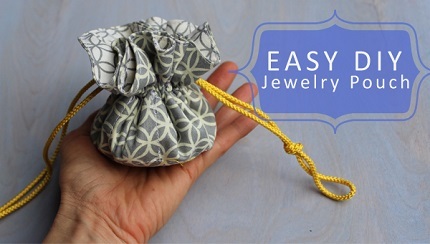 Marni from Haberdashery Fun shares a tutorial showing how to make a drawstring jewelry bag. Inside the round drawstring pouch are little pockets around the edge to hold your smaller pieces of jewelry. Your larger jewelry pieces can go in the middle. You can make one from 2 11″ circles and 2 7.5″ circles of fabric. You may have pieces that large in your scrap. If not, it’s a great project for fat quarters. Go to Haberdashery Fun for the tutorial. Hi – thanks for the feature!